Picking my favorite film by director Joe Dante is damn difficult, he's made so many classic cult-films, his off-kilter vision of weird Americana has always fascinated me, when I was a kid it was the obvious stuff like Gremlins (1984) and Explorers (1985) that were at the top of my list, as a teen I went back and discovered his earlier horror-stuff, Piranha (1978) and The Howling (1981), but it's the suburban slice of paranoia The 'Burbs (1989) at the end of the 80's that I come back to more often than any other, a ensemble-cast comedy that's weird, a bit creepy, and wonderful. 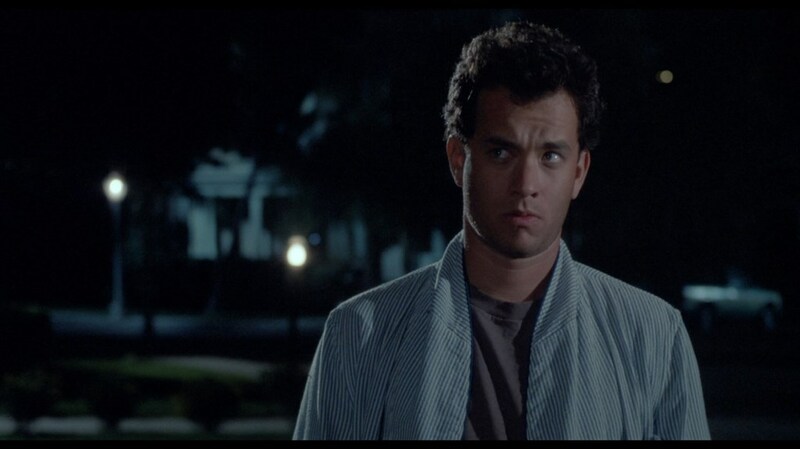 It stars Tom Hanks who was coming off a string of 80's comedies that I don't think did very well, but all of which I love, from the spy-comedy The Man with One Red Shoe (1984), the home-owner's nightmare of The Money Pit (1986) to the not-great but fun Dragnet (1987), I just love Hanks' 80's comedies, sure, he's great in all the dramas and "grown-up" movie he did after but his work in the eighties is my favorite stuff. 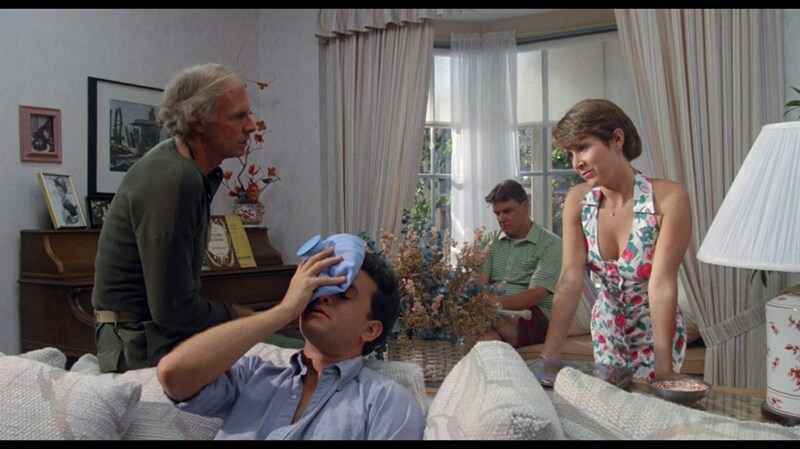 In The 'Burbs we have a small group of neighbors living in a suburban cul-de-sac, our main guy is Ray Peterson (Tom Hanks), an average family-man on "vacation" for a week, his wife Carol (Carrie Fisher, Star Wars) wants him to go for a weekend getaway to a mountain lake, but instead he stays at home and along with a trio of busy-body neighbors get completely wrapped-up in paranoia and suspicion when new neighbors, the Klopeks, mysteriously move into a house on the street seemingly overnight. Their arrival coincides with the disappearance of elderly neighbor Walter (Gale Gordon), leaving behind his lawn cigar dropping ankle-biter dog "Queenie" and his treasured hair piece. The nosy neighborhood's suspicions are bolstered by a weird light show emanating from the Klopek's basement, in addition to some late night digging in the backyard, they're a kooky new addition the neighborhood and Ray and his crew are certain something awful is happening in the neighborhood, and the Klopek's are behind it. 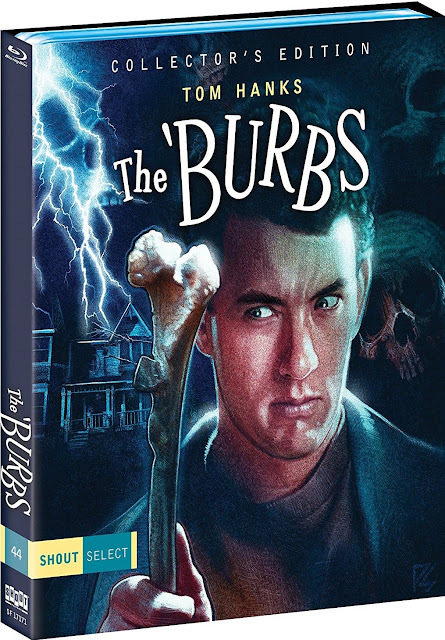 The 'Burbs has an awesome ensemble cast, lead by Hanks who is joined by comedian Rick Ducommun (Groudnhog Day) as his super-nosy neighbor, the guy instigates a lot of the paranoia and suspicion about the new neighbors with a local tale of a soda jerk turned homicidal maniac. Then we have Bruce Dern (Silent Running) as an eccentric 'Nam veteran named Rumsfield, and his wife Bonnie (Wendy Schaal, Innerspace), plus Cory Feldman (The Lost Boys) as the neighborhood teen delinquent who eggs on his neighbors paranoia, inviting his teen friends over to enjoy the show as it unfolds, he also enjoys watching Bonnie weed the lawn in her very short-shorts. The Klopeks are quite a weird bunch themselves, played by Courtney Gains (the evil-ginger Malachai from Children of the Corn), Brother Theodore and Henry Gibson (The Blues Brothers), Gains as primitive looking salvic-hillbilly Hans is just visually fun, while Henry Gibson as Dr. Werner Klopek is charmingly creepy as the family patriarch, meanwhile Brother Theodore is a more gruff nut with a bad temper. 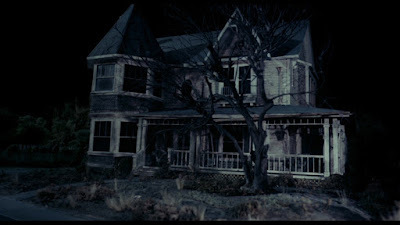 The film has a Twilight Zone feel about it, particularly "The Monsters Are Due on Maple Street" infused with Dante's skewed view of Americana and love of horror. The cast make it fun, Hanks is your every man drawn into madness by his colorful neighbors, he seems the sensible one, but when what appears to be a human femur bone is unearthed by his dog on the property line he shares with the Klopeks common sense goes out the window and an ill-advised 'welcome to the neighborhood' visit to the neighbors goes awry, leading to further distrust and strangeness, including an all out assault on the new neighbor's property. The small community comedy plays well for me year after year, holding up to annual viewings with a parade of jokes and sight gags, including a fun Sergio Leone parody, and a fun devil-worshipping nightmare suffered by Hanks character, allowing Dante to go full-tilt weird for a bit, before settling back into this off-kilter take of neighborly paranoia, The 'Burbs is a top notch suburban comedy as only Joe Dante could have made, the guy is so underrated in my opinion. Audio/Video: The 'Burbs (1989) arrives on single-disc Collector's Edition Blu-ray from Shout! Factory imprint Shout Select with a new 2017 transfer sourced from the interpositive, framed in 1.85:1 widescreen. 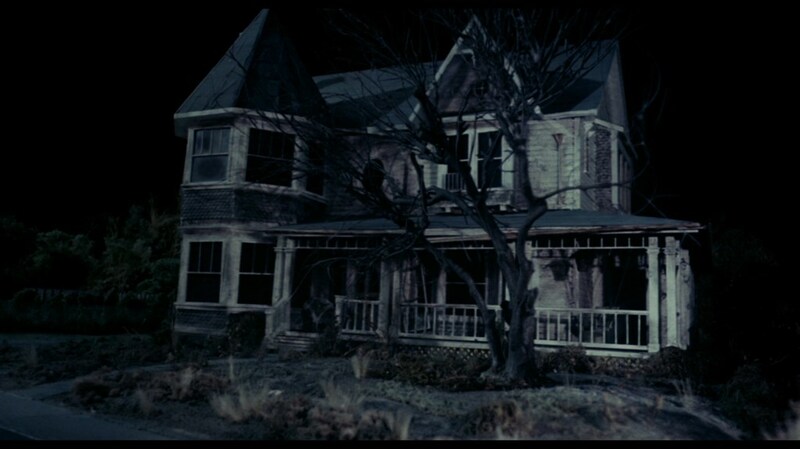 It looks great, grain is nicely managed though it does level-up during a few of the darker scenes. Colors look accurate and nicely saturated, and the shadow detail is ample This is a great looking release from Shout Select, kudos to them for ]giving The "Burbs some love. The lone audio options is audio is an English DTS-HD MA Stereo 2.0 with optional English subtitles. The track is strong and robust, I love this Jerry Goldsmith score, it's fun and goody and perfectly compliments this slice of paranoid, off-kilter Americana. Onto the extras, Shout Select have licensed some very cool, previously existing extras that were also featured on Arrow Video's region B locked release a few years ago, we get the audio commentary with Writer Dana Olsen, Moderated By Author Calum Waddell, oplus the feature length making of doc 'There Goes the Neighborhood" from High Rising Productions, featuring interviews with Director Joe Dante, Actors Corey Feldman, Courtney Gaines, And Wendy Schaal, Director Of Photography Robert M. Stevens, And Production Designer James H. Spencer - a fun making of loaded with lots of making of stories, if you're a fan of the film this is a must-watch! 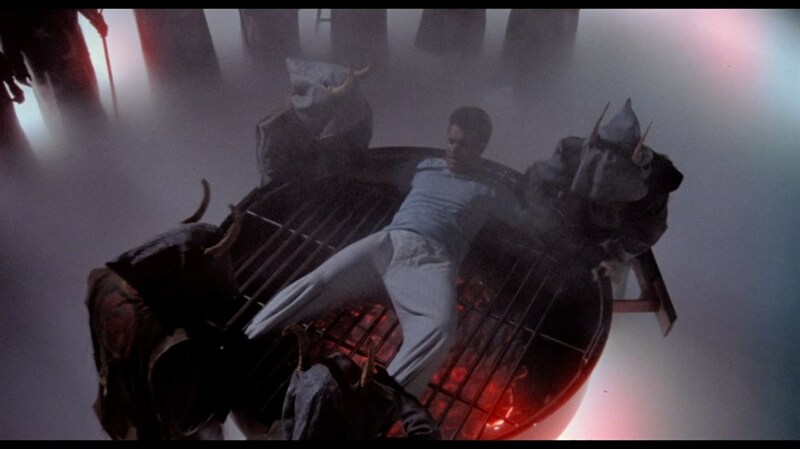 Also carried over is Joe Dante's workprint version of the film, sourced from Dante's personal VHS copy of the longer version of the film containing extended, alternate and deleted scenes. The quality is sub par but I loved watching this and noticing the differences, if you're a fan this is another must-watch extra. One extra notably not carried over from the Arrow Video release is a theatrical versus workprint video comparison, too bad they didn't carry it over. We also get the alternate ending which has been featured on the previous U.S. DVD and Blu-ray releases for the film, plus a trailer, a behind-the-scenes gallery, a still and poster gallery, and then some new Shout Select exclusive extras! The new stuff comes by way of new interviews with Director Joe Dante, Editor Marshall Harvey and Director Of Photography (Additional Scenes) John Hora - all adding up to about forty-minutes worth of stuff. I could listen/watch to Joe Dante talk about movies (his or anyone's) for hours, this interview was apparently filmed at the same time as his interview on the Shout Select' Matinee (1993) Blu-ray release, it touched on a lot of the same stuff as his interviews on the making of doc but there's also some new stuff. The single-disc release comes housed in a standard Blu-ray keepcase with a reversible sleeve of artwork, the a-side is a new illustration from artist Pau. Shipper, the b-side featuring the familiar one-sheet movie poster that has adorned previous releases. The first run of this release also features a slipcover (o-card) featuring the same Paul Shipper illustration. As with all of the Shout Select slipcovers it features a numbered spine on one side or the option to display it without the number on the spine. The disc itself features a blue tinted image of Hanks from the film. 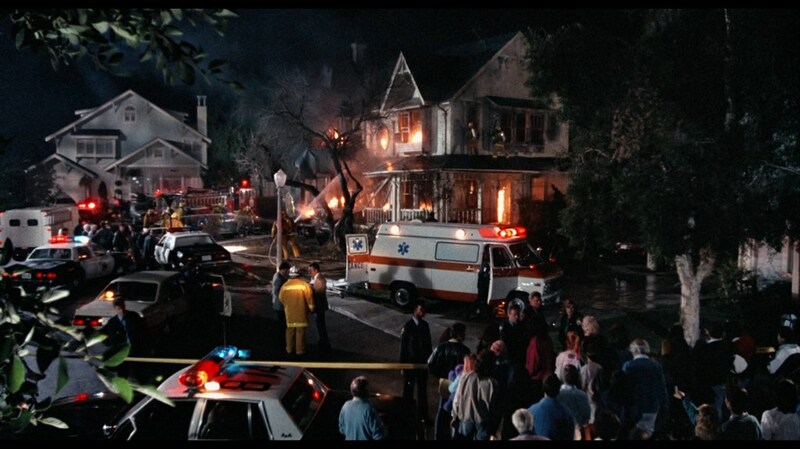 The 'Burbs is a hilarious cult-classic, the crowning achievement of both Joe Dante and Tom Hanks in my opinion, the pair are magic together and that alchemy is only enhanced more so by the great ensemble cast who feed off one another to a delightful degree. The new Blu-ray from Shout! is fantastic, it looks and sounds great and the combination of new and old extras are awesome. I love that Shout! 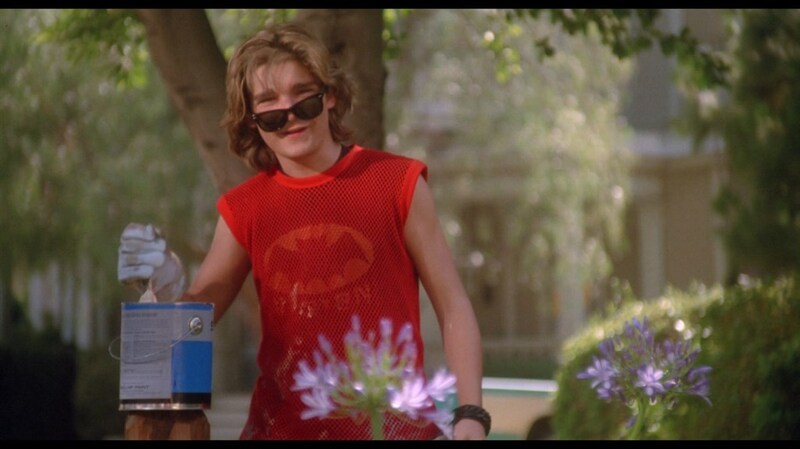 in quick succession have Blu'd both Joe Dante's Matinee (1993) and now The 'Burbs (1989) with loads of extras, both releases are highly recommended and long overdue.